Start the Weekend With a Bang! The Friday Lotto has always been good to Lottoland punters, providing tidy payouts to numerous winners over the past few months. However, bigger is better and we want to give Aussies the chance to win even more on Fridays. Fridays. Unlucky for some, lucky for others. Historically, Fridays have always been associated with bad luck - Friday the 13th, Black Friday... We want to change that. In fact, we think Friday's should be the best day of the week! We want to celebrate Fridays! 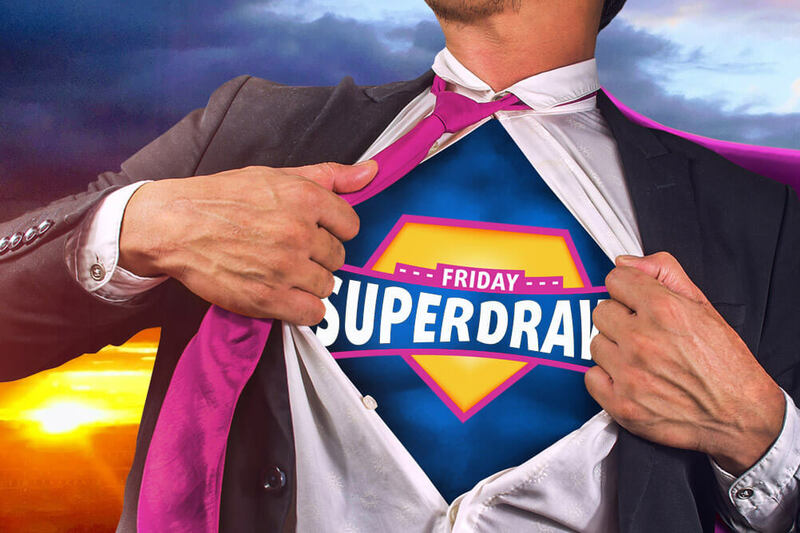 For the next two weeks we're running two massive special jackpot draws. Why not kick start your weekend with an extra couple of million? What is the Friday Lotto? The Friday Lotto is one of Lottoland's own creations. It is a raffle-style lottery that requires you to select an eight-digit number (e.g. 12345678). If your number matches the official result in the correct order – you win the jackpot! At Lottoland, you are betting on the outcome of the draw. How Much can I win Betting on Friday Lotto Superdraws? The jackpots vary for each week with the final $100 million draw being the largest! You can view the full prize table below. Betting on the Friday Lotto is quick, easy and can earn you up to $100 million for these draws! Bets for these superdraws draw cost $3.00. What Time is the Friday Lotto? Bets for the Friday Lotto need to be submitted by 8.45pm AEST/10:45pm AEDT Friday. The results are taken from the first four digits from the TS Super Szansa (drawn at 2pm CET - 10pm AEST/12am AEDT) and the last four digits from the FDJ Keno Joker+ (drawn at 1pm CET - 9pm AEST/11pm AEDT). Have There Been any Previous Lottoland Winners? The Friday Lotto is only a few months old and has already changed lives. Could you be the next Friday Lotto winner and take out the $100 million?